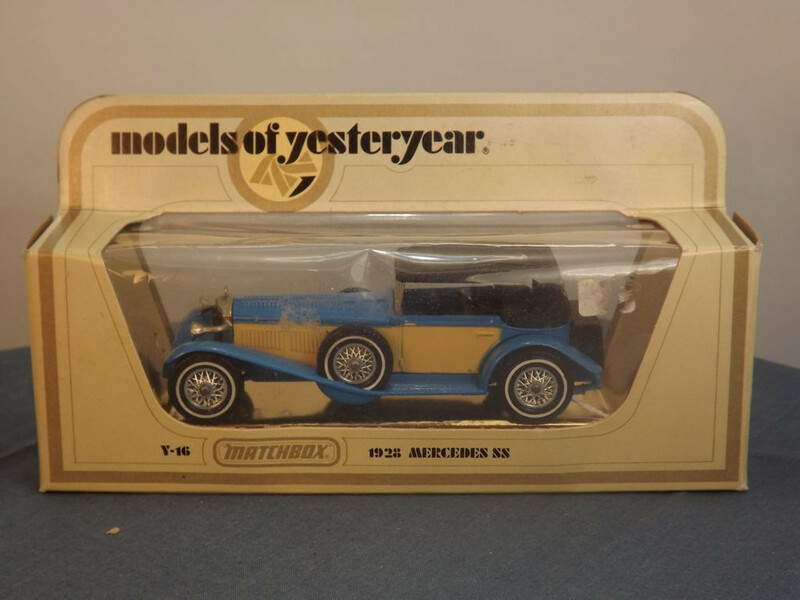 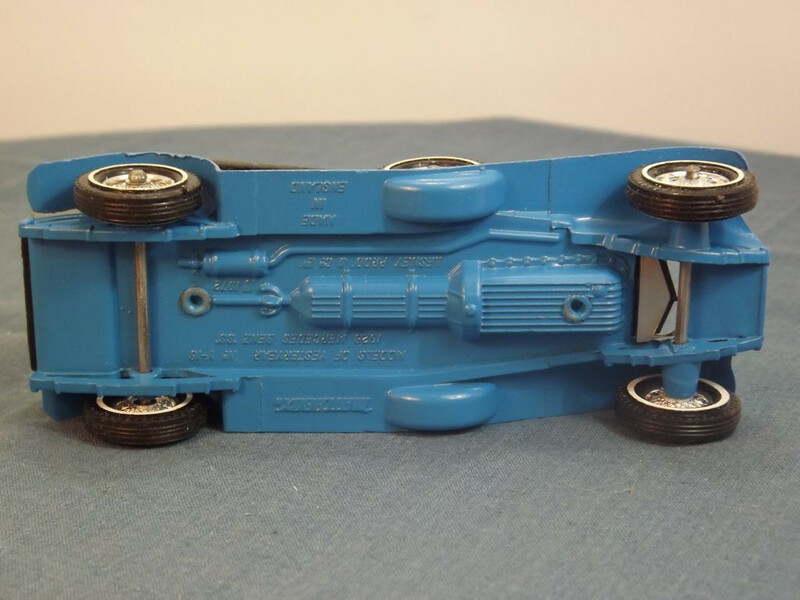 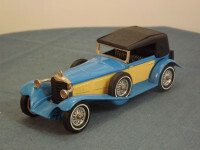 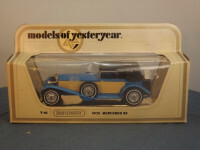 This model is the Matchbox Yesteryear Y16-2-A-21 Mercedes SS Coupe (1928) in Mid Blue and Fawn. It comes packed in its original type I straw box. 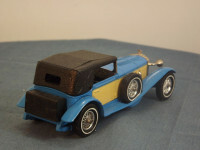 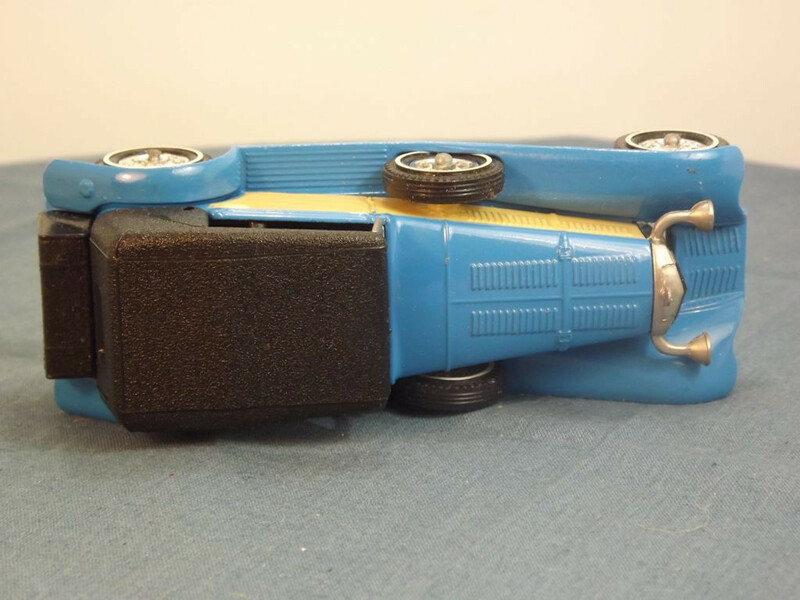 The model has a Mid Blue body, bonnet, and chassis, with Fawn body side panels. 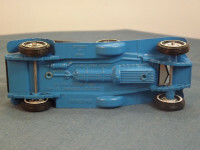 The roof, rear luggage and interior are black. Other Comments/Identifying Features: The model has fawn side panels, 1.5mm thick windscreen surround, black seats, black textured roof and rear luggage, cast exhaust, no rear differential, riveted axles, and no threaded hole in the base. The baseplate is held in place with two machined rivets. 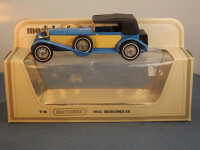 Issued between 1981 and 1984, it has a stated scale of 1:45.